There are plenty of companies using a flawed process in conducting their transportation sourcing events. Why? Because they are transactionally focused when they should be taking a strategic approach. Guess what? Jim’s not alone. There are plenty of companies using a flawed process in conducting their transportation sourcing events. Why? Because they are transactionally focused when they should be taking a strategic approach. Here are four reasons why your own procurement process might not be as good as you think it is. First, the typical procurement-driven sourcing event views transportation as a commodity and thus, is oriented toward getting the lowest price. It’s focused on short term gains instead of long term ROI. While this might work for sourcing raw materials or other commodity items, it will not result in achieving sustainable transportation savings. A much better approach for sourcing transportation would be collaborating with your with your carriers to jointly lower costs for both parties to achieve sustained savings. Viewing transportation as a commodity in today’s market where capacity is tight—and likely to remain tight well into 2019—can be very, very costly. In this market, your carriers know that they don’t have to “negotiate” with you. As the VP of Sales for a large national truckload carrier recently told me, “Today, our negotiation strategy is indifference. Don’t like our rates? Fine. We’ll give the equipment to shippers that will to pay us what we ask.” So if you have been a price-driven, transactional shipper who has eschewed building long term relationships with your carriers, get ready, because your freight budget is going to get walloped! Second, sourcing events too often place more value on efficiency than effectiveness, and compromise quality for the sake of speed and self-imposed deadlines. In these cases, shortcuts are taken to perform a perfunctory job in examining important issues instead of really devoting the proper time and attention to critical details. With a good stress test, you won’t be saying what a one procurement officer recently asked me while describing his service provider’s shortcomings: “Why didn’t the sales rep tell me these things before I signed the contract?” We both knew the answer—it would have cost the rep the deal. Don’t make the same mistake in your process. I know you want to wrap up negotiations ASAP, but with many of these contracts being multi-year agreements, doesn’t it make sense to spend a little extra time on the front end to avoid fixing mistakes that cost even more time on the back end? Third, many procurement processes suffer from confirmation bias. A slick sales rep gives a buzz word-filled presentation, and in your mind, their proposal allows you to check all the “Meets Requirements” boxes. But can they really do what they say they can do? It’s important to press for in-depth answers and examples. Sales representatives are trained to accentuate the things they know are important to you and discount or ignore the weaknesses in their offerings. If they are a low cost provider telling you what you want to hear, be careful. Because of confirmation bias, you may give them the “benefit of the doubt” instead of exercising appropriate due diligence. Fourth, transactionally-driven sourcing events frequently have a laborious RFP that completely overlooks the value of relationships and knowing more about the people with whom you will be working. Aside from pages of overlapping questions, these RFP’s often don’t provide a coherent story, do a poor job in defining your expectations and requirements, and lack important details about how your company is looking to improve. When you keep all prospective suppliers at arm’s length and refuse to meet with them, how can you determine the true differentiators between those who make similar claims? Moreover, how do you determine who can or can’t do what they say they can do? In strategically-driven sourcing events, companies meet with suppliers on the front end, explain their requirements, and determine who is qualified to receive the RFP. This leads not only to a more effective selection process, but a better working relationship down the road. If any of these pitfalls are part of your procurement process, it’s time to make a change from a transactionally-driven to strategically-driven procurement process that focuses on capabilities, relationships and the highest long term ROI, instead of being preoccupied with the lowest price right now. By the time Jim and I finished walking through these concepts over lunch, his initial expression of disappointment had changed into one of hopefulness. He was ready to become a strategic shipper. Are you? 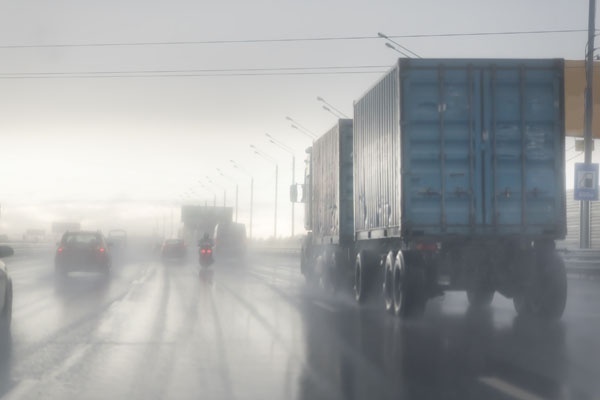 For more information about procurement best practices, download our webinar "How to Survive the Perfect Storm" featuring logistics professionals from Walmart, Ardent Mills, Hub Group, Universal and XPO Logistics.